Tuesday, 21 June 2016, the conference entitled “Christians of Syria, martyrs of nowadays” was held at the parish of Saints Parents Ioachim and Ana – Oborul vechi, deanery of district 2, Bucharest, delivered by Rev Gheorghe Costea, parish priest of the Romanian community of Syria and Lebanon – according to Rev Tudor Georgian Ciprian. 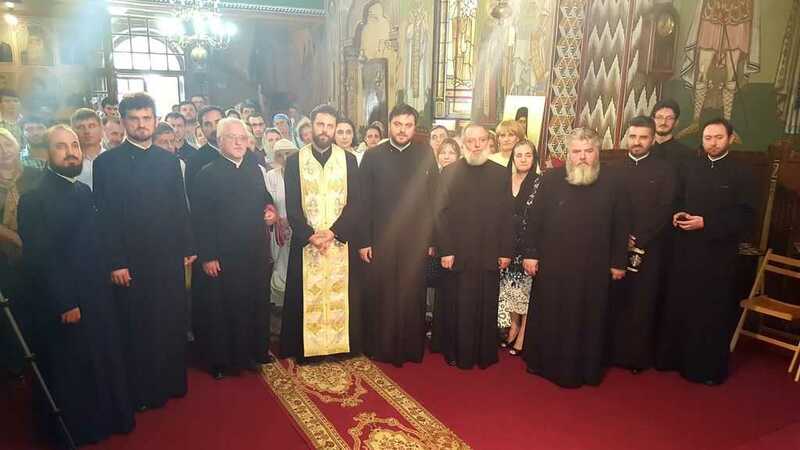 The event was held in the presence of the parish faithful and of the young members of the Christian Orthodox Theologians League of Romania, preceded by the Akathistos of Saint Efrem the Syrian. The akathistos service was celebrated by the conference guest Rev Gheorghe Costea, together with several priests of the deanery. Rev Costea mentioned in his lecture the hard situation of the Christians in Syria and Lebanon, the confession of Christ in hard trials, and persecution. Unfortunately, Syria, this cradle and treasure of Christianity, is destabilized today, with a harder and harder state of things leading to modern martyrdom for today’s Christians. The warm hearts that I found in Syria and strength of the faith made me like these Syrian territories where the saints apostles used to walk. We can best help our brothers through prayers. I urge you to be in communion with the Christians of Syria through our prayers so that God should give some of His mercy on them and remove the sorrows the Christians suffer today – Rev Gheorghe Costea said. The event was a new one for the parish, on one hand because this conference opened the series of events periodically organised in Oborul vechi parish, and on the other hand for the impact the title and conference had over the young people and faithful present who considered themselves solidary – through their presence – with the Christians persecuted in Syria. This entry was posted in Featured News, News and tagged Lebanon, Rev Gheorghe Costea, Rev Tudor Georgian Ciprian, Saint Efrem, Syria by Orthodoxy Cognate PAGE. Bookmark the permalink.